Petite Cuisine helps you turn any occasion into an experience to remember. 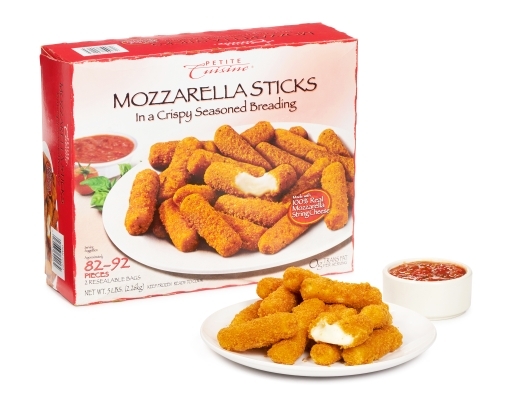 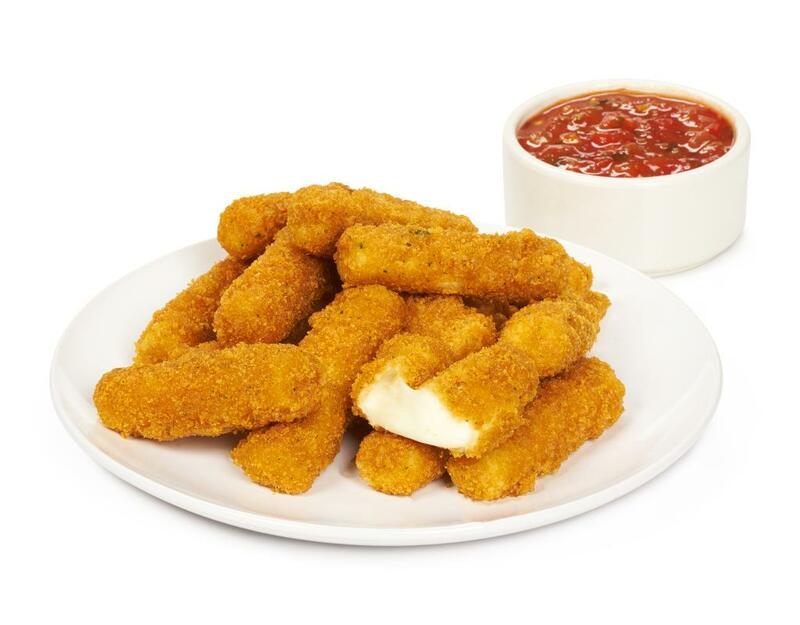 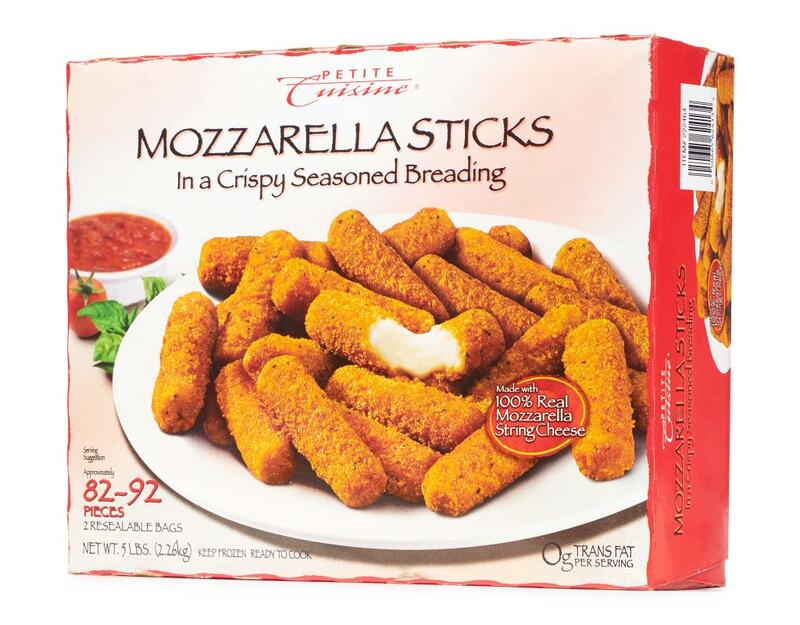 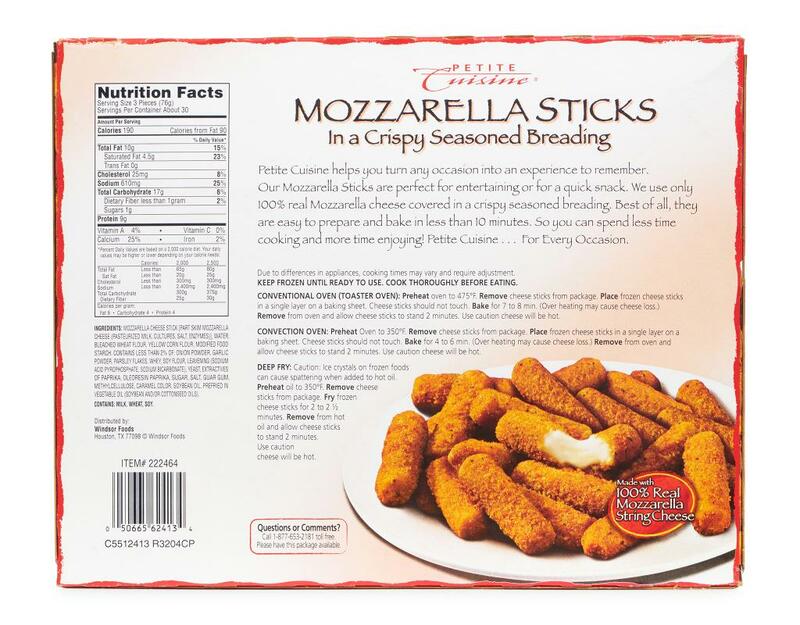 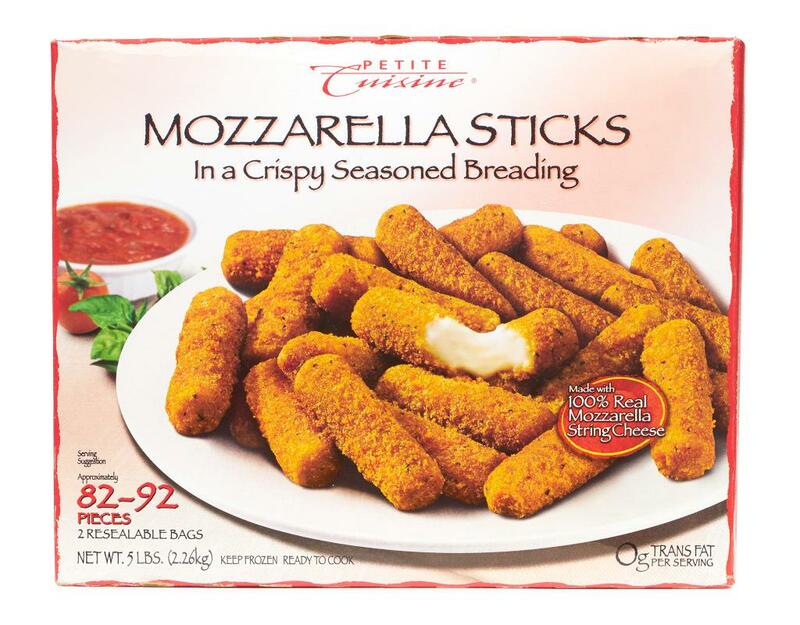 Their mozzarella sticks are perfect to entertain or for a quick snack. They use only 100% real Mozzarella cheese covered in a crispy seasoned breading. 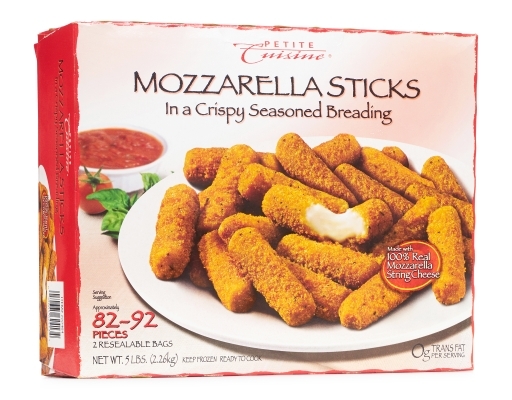 Best of all, they are easy to prepare and bake in less than 10 minutes. 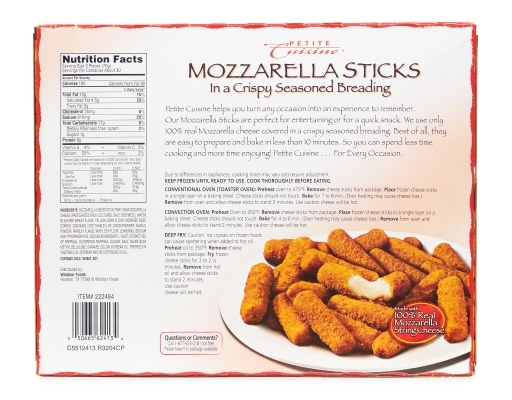 Mozzarella Cheese [Part Skim Mozzarella Cheese (Pasteurized Milk, Cultures, Salt, Enzymes)], Water, Bleached Wheat Flour, Yellow Corn Flour, Modified Food Starch. 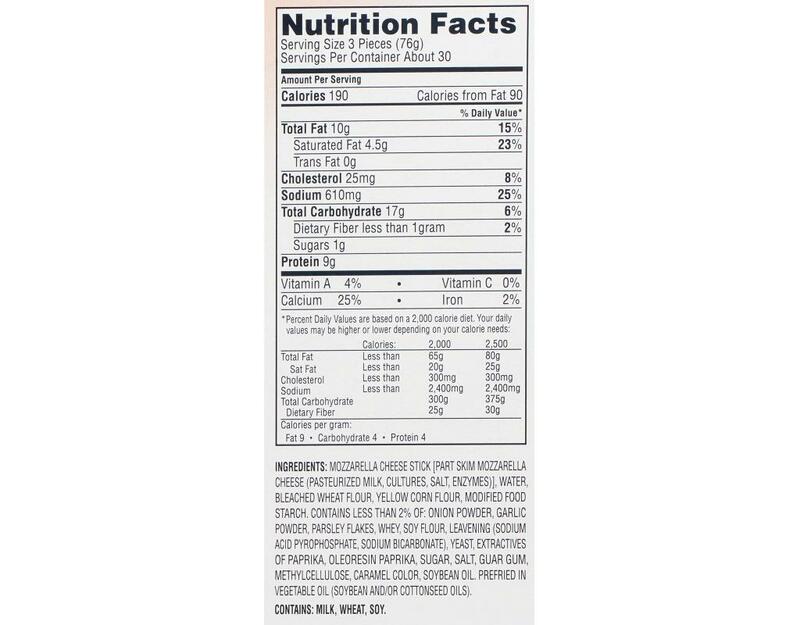 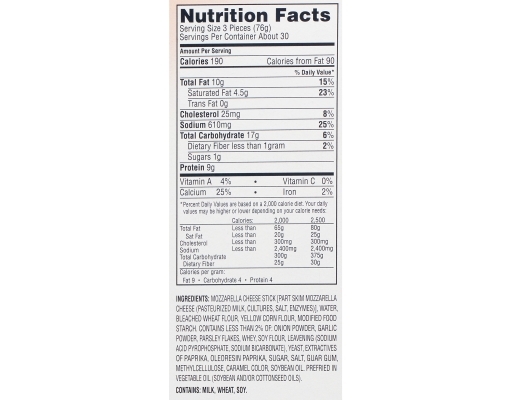 Contains Less Than 2% Of: Onion Powder, Garlic Powder, Parsley Flakes, Whey, Soy Flour, Leavening (Sodium Acid Pyrophosphate, Sodium Bicarbonate), Yeast, Extractives of Paprika, Oleoresin Paprika, Sugar, Salt, Guar Gum, Methycellulose, Caramel Color, Soybean Oil. Prefried In Vegetable Oil (Soybean And/Or Cottonseed Oil).